JAN 19 - Awarded runner up by Trusted Housesitters in the Above and Beyond Awards, what a fabulous way to start the day finding this out! The entry that won this is in our pictures, please have a look, we are really proud and excited by it. 2018 was a terrific year for us and one that saw us develop from house sitting novices to seasoned veterans. What started out as a means of filling in a year whilst we were building a new house has now turned into a lifestyle that we intend to continue for the foreseeable future. Our new home was completed in late Sep 18 and whilst we love the beach lifestyle, it is also a perfect lock up and leave base from which to continue our house sitting travels. 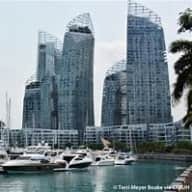 With that in mind we are now looking forward to upcoming sits in Singapore, Langkawi, Scotland and England over the next 12 months. Wow, we've just finished our first house/dog sit through Trusted Housesitters and thoroughly enjoyed our experience. We looked after Miss Muffin a gorgeous 16yr girl in Singapore. Donna and Mark her mum and dad were just great, and even invited us back in June. She loved her daily walks and coffee shop outings, when she got too tired we popped her in her stroller so she could still be with us. She just stole our hearts. She helped us send daily updates on her adventures so her parents wouldn't worry. As soon as we got back we headed to Tewantin, a private house/dog sit with Marley, a staffie/kelpie cross. Darcy our little terrier came along too which was fabulous, they just loved each other! Walks, coffee, beach swims and non stop playing was a daily event! Then curling up sleeping together! We are currently in Burleigh Heads on a house sit with Darcy, no other doggie unfortunately! and then we are heading back up to Tewantin for a 7 week stint with Marley! Darcy is super excited! Off to Canberra after that for 2 months with little Peanut a sweet looking daschund. Darcy is tagging along with us for that visit as well. It's fantastic when owners trust us to treat their loved fur babies as our own and allowing Darcy to come along as well. We are free from 3 June and would love somewhere to sit in the Gold Coast area for a couple of months around then as we are building our new home in Currumbin! 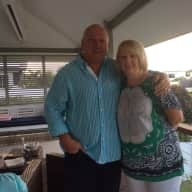 We are an Australian couple in retirement, who have been fortunate enough to have already travelled extensively throughout Australia and the wider world. We have now reached the stage where we would prefer to be temporary residents of places that we visit rather than tourists. We are looking forward to that being our experience as trusted house sitters. Gina's diverse work experience has included controlling aircraft and shipping movements, managing rental properties, light house operator and managing a communications network in the Antarctic at Australian Antarctic Division Stations. 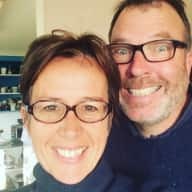 Colin is a retired Army Officer who has also more recently managed a small business providing general maintenance services to private homes and commercial properties. Along the way we have owned and managed a small lifestyle farm on which we had loads of practical experience feeding various types of animals and using and maintaining farm machinery and equipment. We are animal lovers and have had plenty of experience looking after various domestic pets and farm animals. For the past five years we (and our terrier 'Darcy') have divided our time between our rural property in the Macedon Ranges and apartment living in inner city Melbourne. We feel equally comfortable in both environments. Whilst work, our gardens, travel and Darcy account for most of our time, we also enjoy regularly helping friends who operate commercial Dog Boarding Kennels. Our work in the kennels has taught us a good deal about preparing healthy food for dogs and has included giving injections to diabetic animals. We are very confident and comfortable looking after all types of dog; large and small, old and young, fit and infirmed. As for property management, we are confident we can meet any challenge. 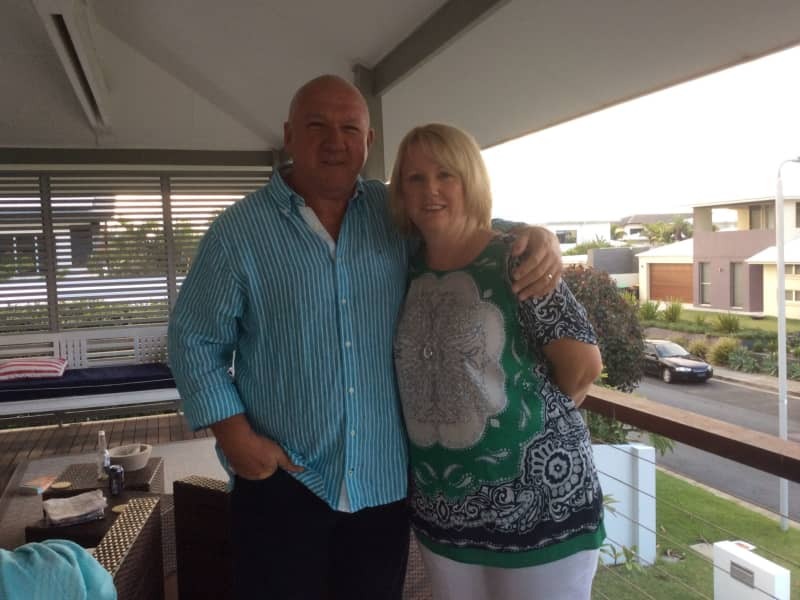 Gina has previously owned and operated a caravan park and worked as a property manager in Queensland. Colin has also had his own maintenance business servicing a number of multi storey residential properties in Melbourne. Should any problem occur whilst we are sitting your property we will be able to (depending on your preference): fix it ourselves; arrange for repairs; or take the most appropriate action to manage the problem whilst awaiting your instructions. We now prefer to be temporary residents of places that we visit rather than tourists. We love animals and enjoy having them as part of our lives and our holidays. Both of us have now retired and as such we have the flexibility to travel for extended periods at will. House Sitting gives us a much greater sense of purpose than staying at a resort. We have owned and managed a small lifestyle farm and have therefore had lots of practical experience feeding various types of animals and using and maintaining farm machinery and equipment. We have had a good deal of practical experience as volunteers working in a commercial kennel and are very confident and comfortable looking after all types of dog; large and small, old and young, fit and infirmed. 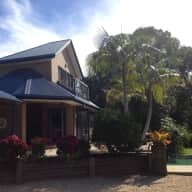 We have house sat on numerous occasions, in numerous locations, for friends and acquaintances of friends but have not yet house sat for friends met through Trusted House Sitters. We are happy to provide contact details of people for whom we have house sat. We had a fantastic time with Kip, he got on really well with our dog Darcy, they became best friends and enjoyed trips to the beach everyday. 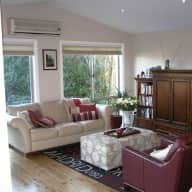 Jo was a lovely lady and the contact was terrific, the house is very comfy to stay in and Kip is a lovely cuddly boy and very easy to look after. Colin and Gina were great house sitters. Our dog Rolo (and the rest of our animals) were really well looked after and Rolo was a very happy boy. 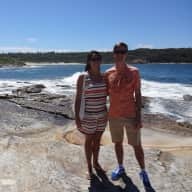 Gina was superb with sending through regular updates and photos, which made being away stress free. We are already looking forward to the next time they can house sit for us again! Colin and Gina are incredible house sitters. We met them prior to the housesit and knew instantly that they would look after our home, two dogs, goats and pigs very well. They did. 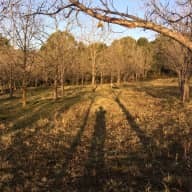 Every day we would receive a photo of our dogs or animals and a short update. They went out of their way to support us by taking us to the airport and picking us up and on our return our home was well maintained and spotless. Gina and Colin are just the loveliest couple and we highly recommend them. I have known Col both professionally and personally for nearly 30 years and later his wife Gina when they met. They are a very friendly, hospitable and honest couple who take the responsibility of what is entrusted to them very seriously. Both are animal lovers, keen environmentalists and widely world travelled. They have recently housesittered my home and dog and it was no surprise to me on my return the great respect and care they had given to both during my absence. Col being the keen DIY home tradie even completed some house painting and replacing of shower taps and shower head (that I had been meaning to do for the past 12 months). 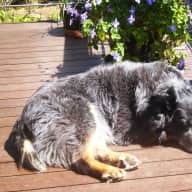 Any person/s who entrusts their home/pets to Col and Gina's care can be very confident that your residence and privacy will be well maintained and respected (and if discreetly point out some of those DIY chores that you have been putting off, Col may get around to doing them for you).